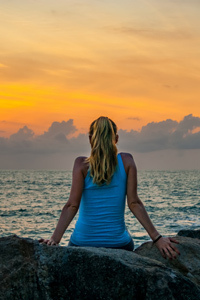 Oceanic Amber™ is the first in a range of Scientific Aroma Therapy™ scents brought to market by Scent & Aroma Technology Systems Limited. Scent & Aroma Technology Systems Limited undertakes a range of activities in the field of Scents & Aromas. It is based in Scotland and owned by Alan Gordon and Dr George Dodd. Oceanic Amber™ has initially been made available to the public via the online store of the Aroma Academy™. Dr George Dodd is the Director of Science and Technology for the company and the driving force behind the development of the Scientific Aroma Therapy™ scents in general and Oceanic Amber™ in particular. More information regarding George is provided below. George is particularly well suited to be the founding father of World Smell Day, as he has the unique combination of not only being a world renowned expert on the Sense of Smell but also an Aroma Scientist, working Master Perfumer and Aroma Therapist. 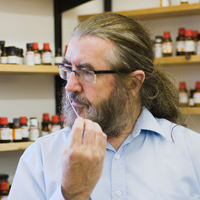 George is an Aroma Scientist and Bio-Chemist as well as a Master Perfumer. His background in Molecular Science and Bio-chemistry has led to the development of an international reputation for fundamental research on Smells and Aromas. He originally studied Chemistry at Trinity College, Dublin but has spent much of his scientific life straddling the fields of chemistry and perfumery, gaining a DPhil from the University of Oxford along the way. George still maintains links with the world of academia through a close working relationship with the group that he founded at Warwick.